The media industry in 2018 has been plagued by many unfortunate events. The year started out with the #MeToo movement that engulfed many stars including sexual misconduct scandal-hit veteran actor Jo Min-ki who eventually ended his own life before a police investigation. It ended with a growing number of celebrities embroiled in their parents' debt allegations. Following rapper Microdot, who reversed his initial denial, many stars have been blamed in debt scandals involving their parents. It was also the year that the line dividing traditional TV and streaming media has become more blurry, with many celebrities opening YouTube channels and YouTube stars appearing on TV. The local drama world had seen many genre dramas but only a couple of dramas from cable channels stood out. The reality TV and cooking show trends continued this year. Many TV shows including "Mr. Sunshine" and "Memories of the Alhambra" reached more drama fans around the world on Netflix, which keeps expanding its presence in the local entertainment business. The #MeToo movement, which started picking up steam in December 2017 in literary circles with renowned poet Ko Un's sexual harassment scandal, has further expanded to the entire entertainment industry. 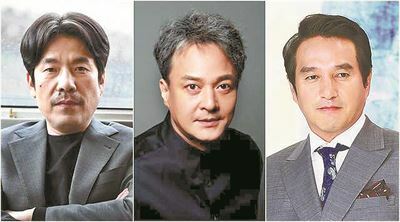 Following many accusations against famous theater director Lee Yoon-taek and award-winning director Kim Ki-duk, sexual offenses perpetrated by popular veteran actors active on both the small and big screens including Cho Jae-hyun and Jo Min-ki enraged the public. Cho initially denied the allegations but as more victims came forward to speak out, he partly admitted his wrongdoings. But he is in denial over the latest sexual abuse allegation involving a minor at the time of the incident. Another actor Jo, accused of sexual misconduct on acting students he was teaching at Cheongju University, committed suicide before facing police investigation. In the latter half of the year, some celebrities were hit hard by their parents' debt scandals. Rapper Microdot's parents were accuse of scamming dozens of close neighbors out of nearly $2 million and fleeing the country. The musician initially threatened legal action against false rumors, but later issued an apology to the victims and stepped down from all TV shows. Yet the rapper is still in the hot seat as the whereabouts of him and his parents who were residing in New Zealand remain unknown. Following the rapper, many other stars have been involved in their own parents' debt controversies. There was no "Descendants of the Sun"-like hit drama this year. Wary of YouTube and Netflix increasing their influence, major broadcasters are losing the trust of viewers. Seven dramas finished with ratings just touching the 1 percent threshold. But cable channels tvN, OCN and JTBC have made meaningful achievements, focusing on their specialties. The tvN blockbuster drama "Mr. Sunshine," for which Netflix invested 80 percent of its production costs, was the best drama of the year. The cable drama enjoyed more than an 18 percent viewership rating, making its star Lee Byung-hun sweep many awards. tvN's "100 Days My Prince" was another hit and the currently airing "Memories of Alhambra" has been received strong responses from drama fans as well. From "Misty" to currently broadcasting "SKY Castle" JTBC has shown strength in depicting female characters, while OCN solidified its power on genre dramas with "Life on Mars" and "The Guest." A scene captured from Joon Park's YouTube channel "Wassup Man"
Since "Wassup Man," a YouTube channel run by Joon Park, a member of the legendary K-pop group g.o.d., went viral, many celebrities young and old, including 64-year-old comedian Lee Hong-ryul, actress Shin Se-kyung and comedian Kim Min-kyung have launched YouTube channels. In the meantime, TV stations worked hard to emulate YouTube's success. In a bid to attract the younger generations, broadcasting companies invite those online one-person broadcasters onto their television shows. And they have launched YouTube-broadcasting-like shows including SBS' "We Will Channel You" and JTBC's "Come See Me," reality shows airing TV celebrities attempting to become YouTubers and creating their own content. Netflix has ramped up its advance into the Korean entertainment market, investing in Korean dramas and making Korean originals. Starting with its investment in blockbuster drama "Mr. Sunshine," it also co-produced its first Korean original variety show "Busted!" hiring top-tier comedian Yoo Jae-suk, and the workplace sitcom "YG Future Strategy Office" through collaboration with major talent agency YG Entertainment this year. Although the first season of "Busted!" received reactions lower than expected, Netflix renewed the show for a second season. Among the many Korean original shows to be released next year, one of the most highly anticipated is Netflix's first ever original K-drama, "Kingdom," waiting for its January premiere. Star writer Kim Eun-hee's "Kingdom" is a six-part zombie series, known to cost 1.5 billion won to 2 billion won per episode. "Its story couldn't have been made into a drama in Korea. But with Netflix, I could make it happen," writer Lee said. Regarding the global streaming giant's hefty investment in local entertainment, producers and stars welcome the move, believing they can expand their influence through Netflix's widespread global distribution. Yet many broadcasters and local production companies are weary of losing their leverage and market share in the local media industry. "Infinite Challenge," one of Korea's oldest-running and most successful reality shows, has put a period on its 13-year run. 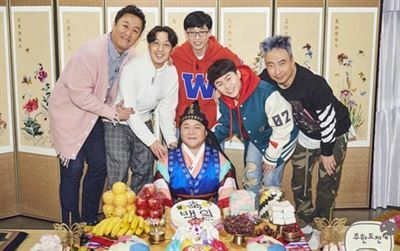 With the airing of the 563rd and final episode of the six-man show, dubbed "the nation's variety show" for its nationwide popularity, audiences could no longer see the challenges faced by the cast, who say themselves they have "less than average" intelligence, every Saturday evening. The show debuted in 2005, with four men including comedian Yoo Jae-suk having a tug-of-war against a bull. Since then it has offered fresh and sometimes reckless stunts each episode and enjoyed a K-pop idol-scale fandom. As one of the country's most lucrative TV shows, it generated 522 million won a week in TV advertising. To fill the void it leaves, MBC has attempted various format variety shows including mobile game-like show "Dunia: Into a New World" but failed to woo viewers. The popularity of eating and cooking shows continued this year. Helped by comedian Lee Young-ja, well-known as a foodie with a discerning palate and her exceptional talent of describing each dish in detail, MBC's variety show "Omniscient Interfering View" enjoyed immense popularity. The foods she ate on the show have become must-try foods. Right after her list of top 10 dishes from highway rest areas nationwide hit the airwaves, sales of those foods were reported to have doubled. Among the cooking shows, "Baek Jong-won's Alley Restaurant" and "Soo-mi's Side Dishes" made remarkable marks. In "Alley Restaurant," Baek, one of the country's most-sought-after chefs and eatery franchise owners, visits small restaurants in back alleys to offer his advice to revive the restaurants. 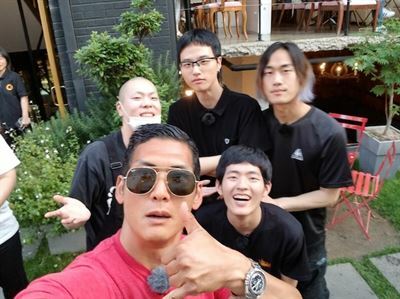 In the country where restaurants are one of the most frequently failing businesses, Baek's sharp but sincere advice and his philosophy often yield real-life drama, skyrocketing the show's ratings. Also, Kim Soo-mi, reputed for her master-level cooking skills in Korean cuisine, continues the home-cooked meal trend spreading her Korean side dish recipes in tvN's ongoing cooking show "Soo-mi's Side Dishes." Male-dominated variety shows saw welcome changes. Centering around comedians Park Na-rae, Lee Young-ja, Song Eun-yi and Kimook, woman power was stronger than ever this year. Comedian Lee, having had the busiest year of her career, made history to become the first female comedian to win the grand prize at the KBS Entertainment Awards. It was won by men for 16 years in a row. The 50-year-old comedian of "Omniscient Interfering View" and "Bob Bless You" is in a league of her own in describing dishes, making even common street foods special. Park shot to fame with her R-rated jokes and other female comedians also swept reality shows. They are speculated to sweep other broadcasters' annual awards. Variety shows like "Weekend Playlist" "Bob Bless You," "Video Star" and "Sister's Slam Dunk" all have female hosts. Actor Shin Seong-il, a star of 1960s and 1970s who appeared in numerous films since his 1960 debut with comedy film "Romantic Papa," died of lung cancer on Nov. 4 at age 81. He was diagnosed with stage-three lung cancer in June 2017 and had been undergoing chemotherapy at a hospital located in South Jeolla Province. Shin is familiar to younger generations as husband to actress Um Aeng-ran, who appears on talk shows. He rose to stardom with "Only for You" in 1962 and appeared in 530 movies, starring in 506 of them, including "The Barefooted Young" (1964), "Dangerous Youth" (1966) and "A Burning Youth" (1966). It was said without understanding Shin Seong-il, it is hard to get a grasp of neither Korean film history nor Korean modern cultural history. Shin's last film was "Door to the Night" in 2013. TvN's drama "A Korean Odyssey" has become notorious for revealing the chronic problems of the nations' TV drama industry. Following a production crew member's accident, the drama's hectic schedule and long working hours have been blamed as its main cause. "Along with long working hours and frequent changes in sets, not written in contracts, sleep-deprived crew members suffered from fatigue," the media union said. Similar accidents followed. A production crew member of "Kingdom" and another one from "Still 17" died from strokes. But the media union claimed long working hours killed those otherwise healthy workers. The 30-year old worker of "Still 17" who was found dead at his home was reported to have worked 76 hours outdoors under the scorching weather for five days between July 25 and 29. In the dominant U.S. drama market, the 2013 Korean hit series "Good Doctor," telling the life of a pediatric surgeon with autism and savant syndrome, won big this year. The KBS drama became the first Korean format whose American remake "The Good Doctor" aired primetime on a major American television network. The series premiered in September last year on ABC and its first season ended in March this year as ABC's highest-rated first-year drama in 13 years. Thanks to its surprising ratings, its second season kicked off in September, giving the Korean original series another milestone, becoming the first of its kind to see its U.S. version renewed for a second season. Former KBS America representative Yoo Gun-shik said, "Good doctor's success is a stepping stone for Korean content to reach the American market. As NBC's Better Late Than Never, an American version of Korean reality show Grandpas Over Flowers, and then drama The Good Doctor hit the airwaves this year, U.S. networks have started to give more attention to Korean content." In the meantime, ABC is also developing "Exhibit A," an American reboot of Korean legal drama "My Lawyer, Mr. Jo."